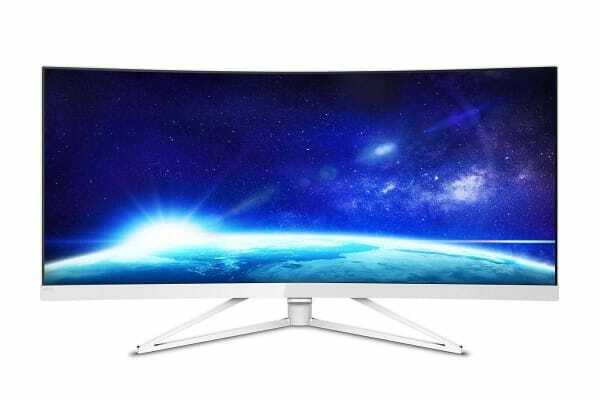 Featuring a fascinating UltraWide display with height adjustability, this Philips 34” 3K Ultra-Wide Curved Monitor with FreeSync gives you a panoramic view of the world. 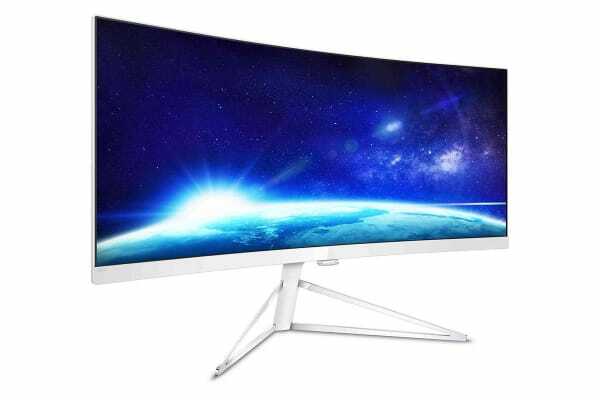 These advanced Philips screens deliver CrystalClear, UltraWide Quad HD 3440 × 1440 pixel images. 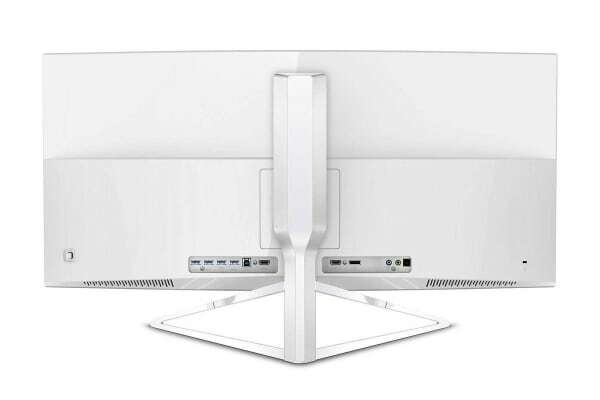 Utilizing high performance panels with high-density pixel count, 178/178 wide viewing angles, these new displays will make your images and graphics come alive. The UltraWide 21:9 format enables more productivity with more room for side-by-side comparisons and more viewable spreadsheet columns. Whether you are demanding professional requiring extremely detailed information for CAD-CAM solutions, or a financial wizard working on huge spreadsheets, Philips displays delivers CrystalClear images. Ultra Wide-Colour Technology delivers a wider spectrum of colours for a more brilliant picture. Ultra Wide-Colour wider “colour gamut” produces more natural-looking greens, vivid reds and deeper blues. Bring, media entertainment, images, and even productivity more alive and vivid colours from Ultra Wide-Colour Technology. DisplayPort is a digital link from PC to Monitor without any conversion. With higher capabilities than DVI standard, it is fully capable to support up to 15meter cables and 10.8 Gbps/sec data transfer. With this high performance and zero latency, you get the fastest imaging and refresh rates – making DisplayPort the best choice for not only general office or home use, but also for the demanding gaming and movies, video editing and more. It also keeps interoperability in mind via use of various adapters.